1983, February 2. 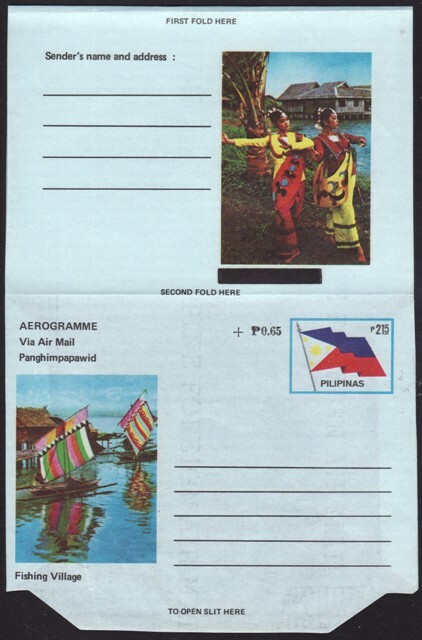 “Muslim Dancers” Inscription Manually Deleted on: 2p15 Philippine Flag, 2p15 Philippine Flag ASEAN Overprint, Multicolor on Light blue, with Fishing Village Front Cachet and Native Dancers Back Cachet (With Black Deleting Bar over "Muslim Dancers"). 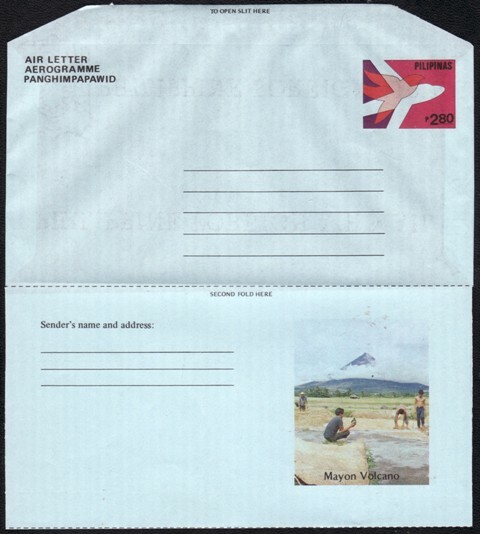 AEROGRAMME / Via Air Mail / Panghimpapawid. (1,075,925). Note: Deletion process handled by philatelic tellers. 1984, February 20. 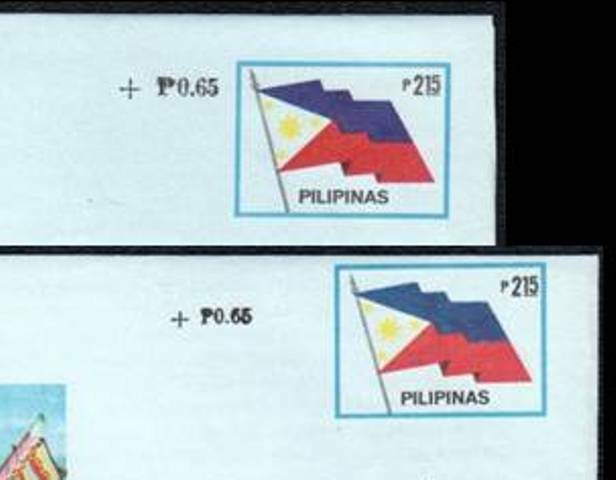 2p80 (2p15 + 65s) Black "+ P0.65" Added to 1983 2p15 Philippine Flag. 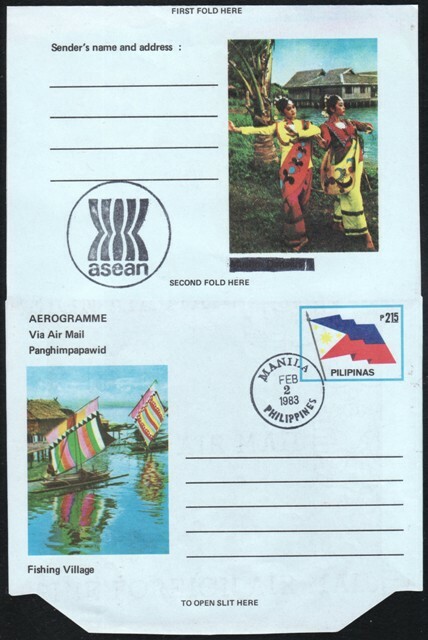 Multicolor on Light blue, with Fishing Village Front Cachet and Native Dancers Back Cachet (With Black Deleting Bar over "Muslim Dancers"). 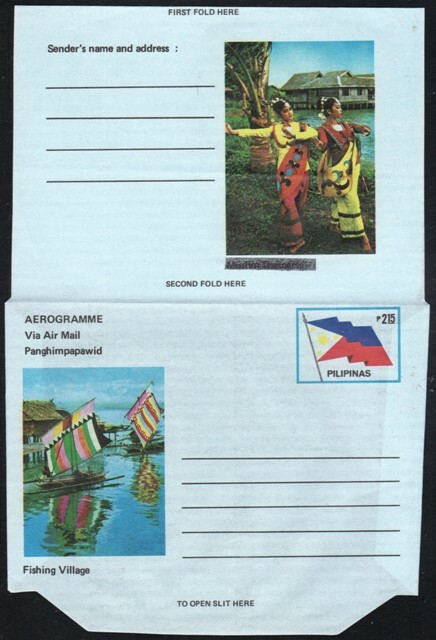 AEROGRAMME / Via Air Mail / Panghimpapawid. Government Printing Office. 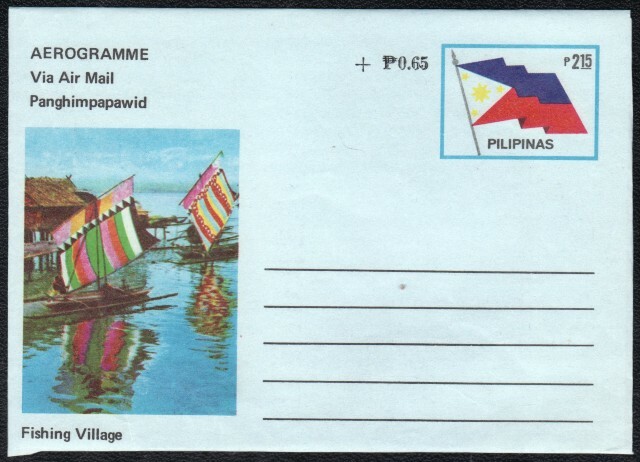 Two types of overprint exists: Large (385,000), and, Small (615,000).